Samsung Galaxy Core 2 smartphone was launched in June 2014. The phone comes with a 4.50-inch touchscreen display with a resolution of 480x800 pixels. Samsung Galaxy Core 2 is powered by a 1.2GHz quad-core processor. It comes with 768MB of RAM. 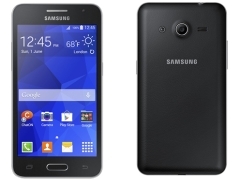 The Samsung Galaxy Core 2 runs Android 4.4 and is powered by a 2,000mAh removable battery. 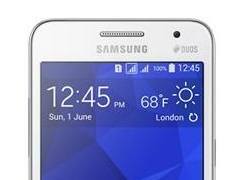 As far as the cameras are concerned, the Samsung Galaxy Core 2 on the rear packs 5-megapixel camera. It sports a 0.3-megapixel camera on the front for selfies. The Samsung Galaxy Core 2 runs TouchWiz Essence based on Android 4.4 and packs 4GB of inbuilt storage that can be expanded via microSD card (up to 64GB). 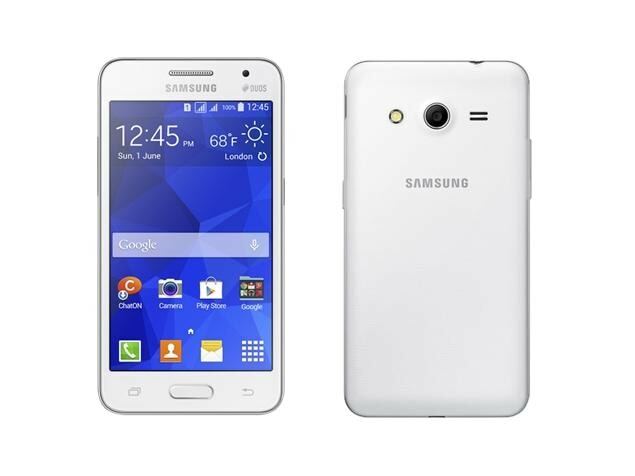 The Samsung Galaxy Core 2 is a dual-SIM (GSM and GSM) smartphone that accepts Micro-SIM and Micro-SIM cards. Connectivity options on the Samsung Galaxy Core 2 include Wi-Fi, GPS, USB OTG, FM radio, and 3G. Sensors on the phone include accelerometer and proximity sensor. The Samsung Galaxy Core 2 measures 130.30 x 68.50 x 9.80mm (height x width x thickness) and weighs 138.00 grams. It was launched in White and Black colours. As of 23rd April 2019, Samsung Galaxy Core 2 price in India starts at Rs. 5,920.
is so poor Waste of money. Can i update it from 4.4.2 KitKat to 5.0.1 Lollipop? version? I seriously want to update my android phone from 4.4.2 to 5.0.1 Lolipop version! can i update it! I boughg it in 2014 September and at that time it was a great phone for Rs.7000 and specs were good. I still use this phone anf i am typing on that phone only. 4 years and 3 months have passed but still this phone has no issues. No call issues or heating or ubexpected shutdowns. ya battery degrared so i replaved tge battery and now its fine. dont give it a 1 star rating by just seeing and comparing it with 2018 budget phones. its 4 yeara old. think of that time guys. And very less budget phones are able to withstand 4 years of good use. Next year in May I will upgrade to a new phone most probably note 9 or s10 till then its my daily partner.